It. Is. Finally. Summer. Time. The past month has been filled with end of year testing, report cards, and moving out of our temporary school…I’ve been non-stop for quite some time, but I am so happy that I now have my summer to relax and focus on something that makes me truly happy…this blog! With the weather heating up quickly, I need to make sure my current skincare products reflect the inevitable…oil control. I tend to have naturally oily skin to begin with, so knowing that humid and hot days lie ahead, switching up my routine is at the forefront of my beauty to do list. 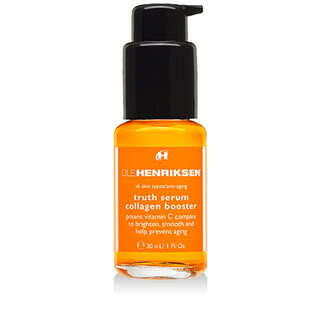 A few months ago Ole Henriksen released a new line, Counter Balance, aimed at solving all of your oil control needs. When I opened a box from Influenster and saw the new Balance Oil Control Cleanser, Toner, and Hydrator, I just about fell over in excitement. The hype around this line was real and I couldn’t wait to dive in and get to using these products!! Let me start by saying I’ve been using these three products in the morning, as a way to prime my skin for the long, oil bound, day ahead. This line features Ole Henriksen’s trademarked Green Fusion Complex, which includes antiseptic properties to keep oil at bay, as well as many botanical ingredients such as kelp, eucalyptus, green tea, and Irish moss extracts, to keep skin calm and hydrated. I use the Find Your Balance Oil Control Cleanser as soon as I wake up, and in addition to the Green Fusion Complex, the cleanser also has alpha-hydroxy acids that help to unclog pores and control oil. Despite the AHAs, this cleanser doesn’t leave skin feeling tight or dry, which can so easily happen with a product aimed at oil control. My skin feels refreshed, matte but not dry, and ready for product after using this cleanser. Next, I use the Balancing Force Oil Control Toner on a cotton pad. I try to focus most on my T-zone and chin area as I wipe the toner on my face…those can be my oiliest spots during the day, and I want to make sure I control that as much as possible. The toner is definitely my favorite part of this line, I love the peppermint and eucalyptus scent, and it makes me feel and look super matte…again, without feeling dried out. I also tend to use a bit more in an area where I have a breakout since this toner contains glycolic, lactic, and salicylic acids. After the toner I apply one of my many serums, it depends on the day and what I want to focus on, and after I let the serum settle in I follow up with the last product in the line, the Counter Balance Oil Control Hydrator which is super lightweight. It creates a great base for my makeup each morning, I’ve skipped primer some mornings because I’ve been so pleased with the way this moisturizer mattes my skin. This entire line has been great for my skin for the past month. The heat and humidity and wreck havoc for those of us with oily skin types, but this Ole Henriksen line does a great job in setting up skin for success against the weather. Stop by Sephora and test out the feel of the toner and moisturizer, guaranteed you’ll fall in love! 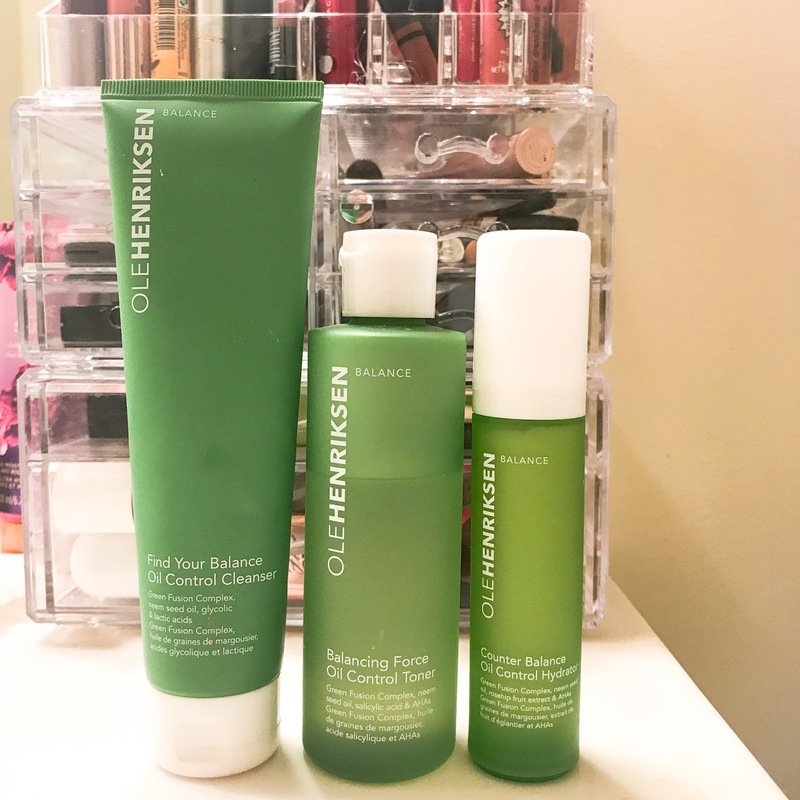 I recently discovered they have an Balance it All Essentials Kit, which has mini versions of each, perfect for traveling! I’m a huge Ole Henriksen fan, my obsession with their The Clean Truth Cleansing Cloths is unreal. I’m so jealous of Sephora because their employee’s use a massive ridiculously jumbo pack of them at the Sephora Beauty Studio, but it’s not for sale. ugh. Anyway, I’m equally obsessed with the Ole Henriksen Perfect Truth CC Cream Broad Spectrum SPF 30. CC Creams are the best, and I have a few I rotate in and out of my morning routine. It’s so easy to throw it on before work- it gives me minimum coverage which I want, but does an excellent job at covering my redness, which is a constant battle. I love the Ole Henrikson Perfect Truth CC Cream because it’s so incredibly lightweight, and it smells amazing…just like all of the other Truth line products. My skin looks bright, even, and dewy after I apply it, and it pretty much stays put during the day. It’s also perfect for layering without looking clumpy or too dark. This CC Cream also has a real melting feel to it, which I love because it blends so well. 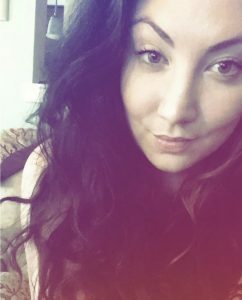 Any little imperfections I have are covered, and I really don’t need to use much concealer at all, unless of course I’ve been up all night watching Entourage/ planning lessons…no big deal. I do use a setting powder (Mac Prep + Prime) on certain parts of my face after just to make sure I stay matte in those areas since I have such a long and mostly crazy day. I highly recommend this and all Ole Henriksen Perfect Truth products, check them out next time you’re in Sephora! I received the Ole Henriksen Truth Creme Vitamin C Advanced Hydration as a sample from Sephora, and I have to admit I was weary on trying it out. I didn’t love my experience with the Ole Henriksen Truth Serum Vitamin C Collagen Booster (I still think I may have just gotten a bad bottle and need to try again), but I did love the Truth To-Go Vitamin C Wipes (and I def plan on purchasing them soon). I wasn’t sure whether or not I would like this product, but I was looking forward to trying it out. This was just a small sample, but I was able to use it for a week straight, so I think I was able to form a pretty good opinion on it. First, as with all the Truth line products, the smell is heavenly. That perfect citrus smell is so refreshing and natural. I know the citrus smell can be a bit much for some people, so I would suggest sampling this, or any of the Truth line products first, before purchasing! I noticed the Truth Creme absorbs quickly, I didn’t look shiny after using it, and my face felt hydrated and refreshed after a long day. I didn’t need to use a whole lot to achieve that moisturized feeling, so a little goes a long way with this product, which is a very good thing! The purpose of the Truth Creme is to “calm, heal, brighten, and boost collagen” it also “provides anti-aging benefits, promotes cell turnover, evens skin tone, and helps to eliminate the appearance of fine lines and wrinkles”. As someone who has sensitive/ red skin and issues with brightening, I can definitely say it was calming, it didn’t cause any additional redness, and def helped in brightening me up. My face felt super smooth each time I used Truth Creme, it was a much different feeling than any other moisturizer I had ever used! If you’re looking for a new product to try out, especially with winter dryness in full swing, I highly suggest the Ole Henriksen Truth Creme! PS: Truth Creme does not contain SPF, so I made sure to only use it at night. Ole Henriksen does make Truth products with SPF, I look forward to testing them out! Check out all of the Ole Henriksen products from Sephora, here! Facial wipes are essential for everyday living, for a variety of reasons. When you wake up in the morning but don’t feel like washing your face — grab a facial wipe. After a run on the treadmill or after Pilates class — grab a facial wipe. When you come home from a long night out, a wee bit intoxicated, & we all know you aren’t removing your smokey eyes & liner — grab a facial wipe. See, these are just some of the many reasons these little things are just so important in our lives. SO, I’ve made it my personal mission in life to try out as many different brands and types of facial wipes as I can. I go through them like crazy, which is why I put myself on this mission — it’s just more fun! Okay so a little while back I reviewed Ole Henriksen’s Truth Serum [posted here], which is everybody’s favorite…except mine. I’m not sure why it didn’t work for me the way it works for everyone else. I’m thinking I may have actually gotten a bad bottle or something, I really want to try it again, once I use up my current serum. Howeverrrrr, these wipes are the BEST, I love them! I use them in the AM, the citrusy sent wakes me up & leaves my face feeling fresh and ready to start the day. My skin feels clean, not sticky or aggravated, and my daily AM products work perfectly after I use Truth to Go. 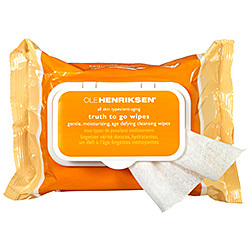 You can find Ole Henriksen’s Truth to Go Wipes at Sephora, here! So this weekend I just finished up a bottle of what seems to be everybody’s new favorite serum, Ole Henriksen’s Truth Serum Collagen Booster. Now, I’ll be blunt with this…I didn’t like it. I didn’t like the price, I didn’t like the texture, and I didn’t like that I didn’t see WOW and instant results everyone else who uses it seems to be experiencing. First, this serum is considered an anti-aging product, but it also claims to promote brightness and has a TON of vitamin C, which I obvz think is great. The brightness was what I was looking for, and didn’t really see. I was really looking forward to this product because I know how incredibly popular it is, but it really just didn’t work for me. I agree it was weightless, but I just found it too sticky (as most serums are), I thought since it’s so great it wouldn’t be as sticky as I found it to be. Hopefully the part about protection against environmental aggressors is true, that’s always a plus. And, it smells amazing…super citrusy (duh, vitamin C) and the scent def woke me up in the morning! Anyway, I got the Ole Henriksen Truth To Go facial wipes in a promotional box, so I’ll have to try those out and see how I like them!